A weekend of meditation, mindfulness and looking inward. Two days hosted by very dear friends, this was something very new to me but an area that had intrigued me for quite some time. The retreat was titled “Introduction to a Spiritual Life; offering a peaceful and healthy retreat…to introduce and explore spiritual living”. Led by a husband and wife team, Anna and Jordan, two very close friends of mine who I have known for some twenty years. 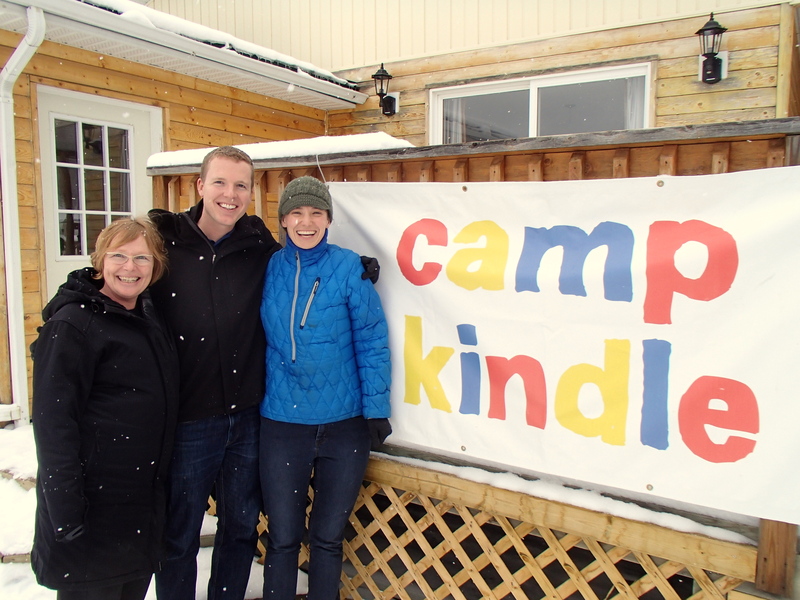 The retreat took place in the foothills of Sundre, Alberta at a camp that in the summer would be teeming with children and families. For these two days in early April though, the area was quiet and serene, a solid layer of snow still on the ground and only two geese in addition to our small group of 9. 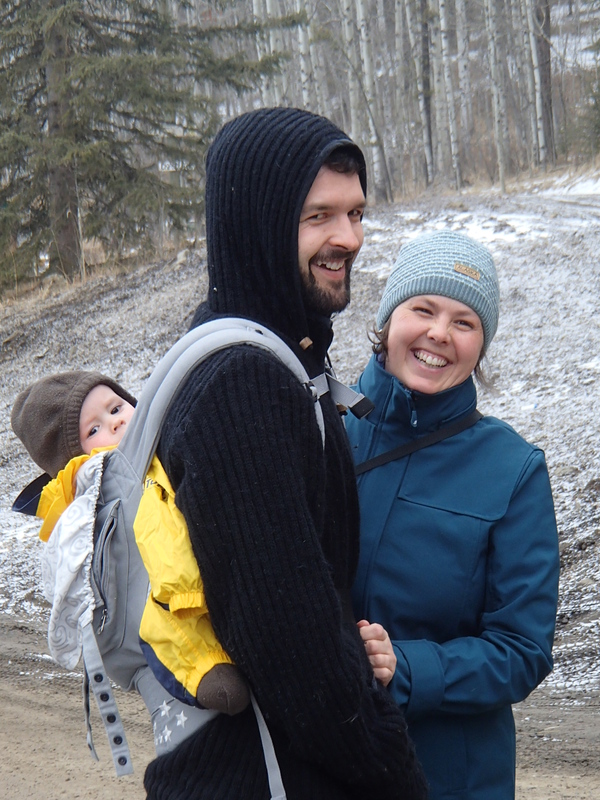 Anna and Jordan along with their youngest son, Gabriel. Not knowing really what to expect, I did know that I was excited to gain a better understanding of something so important in the lives of my friends and some close family members, including my wonderful mother-in-law Jane who joined me for the retreat. Janie, Jenn and chauffeur (H)! What is meditation? 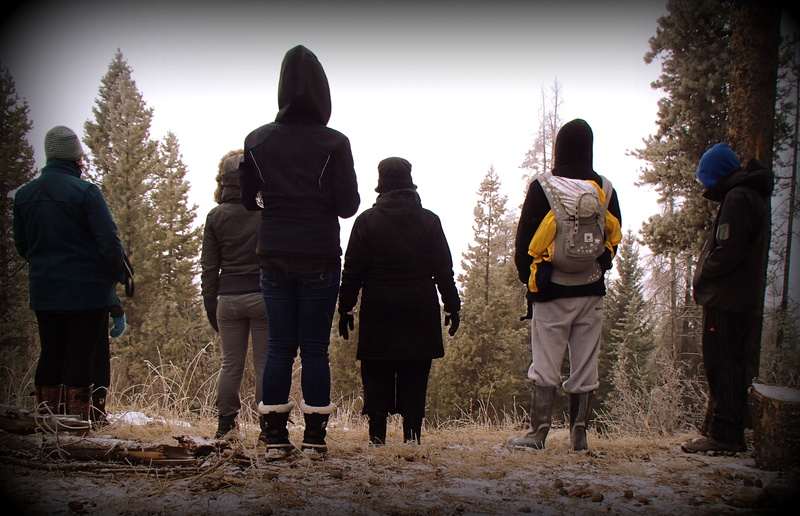 The retreat helped me understand that this can have so many different answers and each one is neither wrong nor right. It’s individual and spiritual in a non-denominational, non-judgemental, all-encompassing way. In its most simplistic form “…meditation can be essentialized into these 3 crucial points: Bring your mind home. Release. And relax”. (Sogyal Rinpoche). Our two days were a mix of different guided meditations, learning mindfulness in the kitchen, group meals and free time. Although each of us only knew one or two other group members in the beginning the group gelled so well that free time was spent in the warmth of the main house, curled up on cushions and sofas, chatting about life. Jordan led the guided meditation, including a walking meditation, his voice engaging and soothing, the minutes ticked by easily. The basics of practice were taught, a focal point, positions, all the while he reminded us that this was only an introduction, keeping everything very light and relaxed. The antidotes Jordan told from his own life were some of my favourite parts of the weekend. These points emphasized how meditation, intuition and looking inward can lead to answers for some of life’s biggest dilemmas. In the kitchen, Anna taught each one of us to be more mindful when preparing and cooking food. 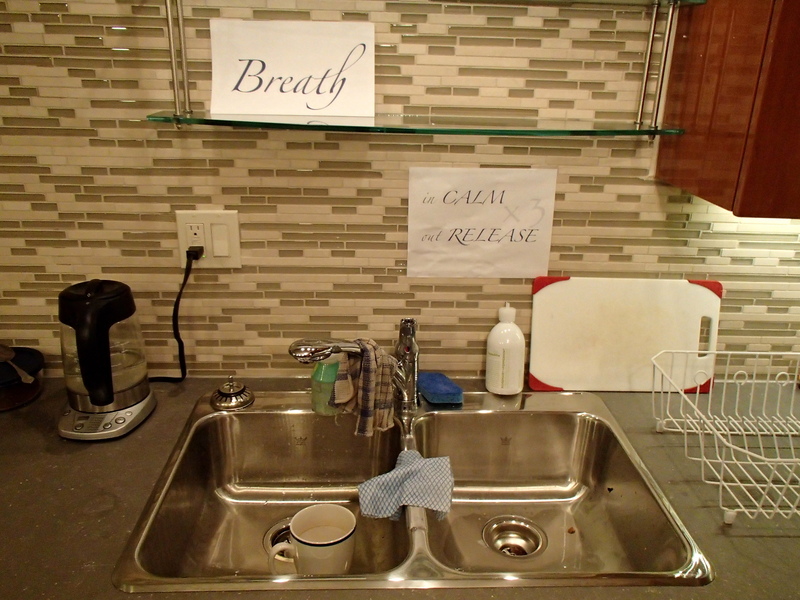 Direct reminders were placed around the room to keep us focused, resulting in a meal made with thoughtfulness and compassion, which truly can be tasted in the food. 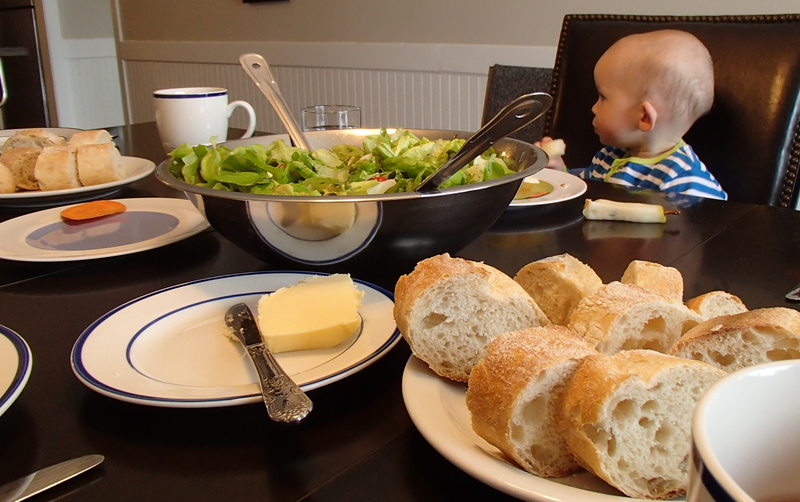 At each meal we were challenged to savour one particular piece of food, thinking about where it came from, what it was doing for our body, taking the whole process of eating a little more slowly. Mealtimes were also a time for us to gather around one big table, talking and laughing, getting to know each other better while enjoying some amazing food (much of it prepared ahead of time by Anna!). 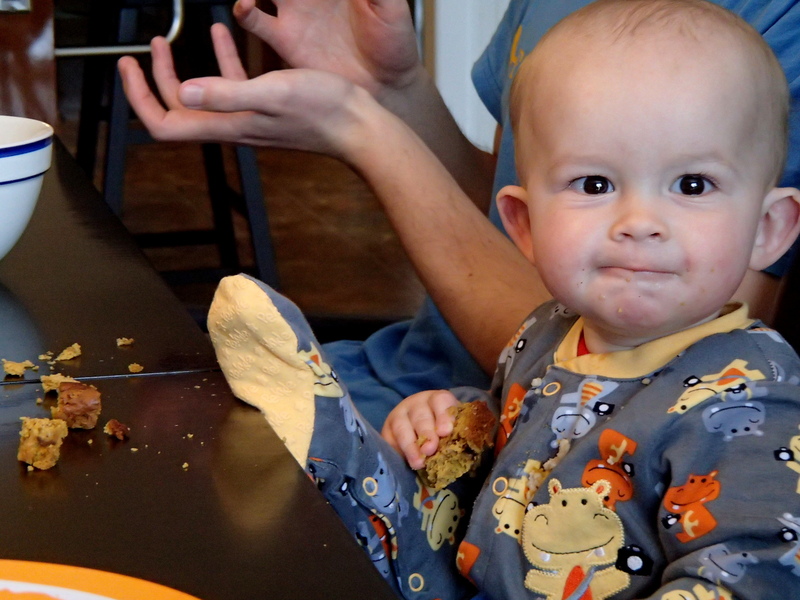 Gabe was the best at savouring his food! The whole retreat was wonderful. A unique and thought-provoking experience shared with a great group of people. It was exactly what an introduction should be; learning a little about the different areas of meditation, spirituality, mindfulness and looking inward, I was fascinated and it left me wanting more. 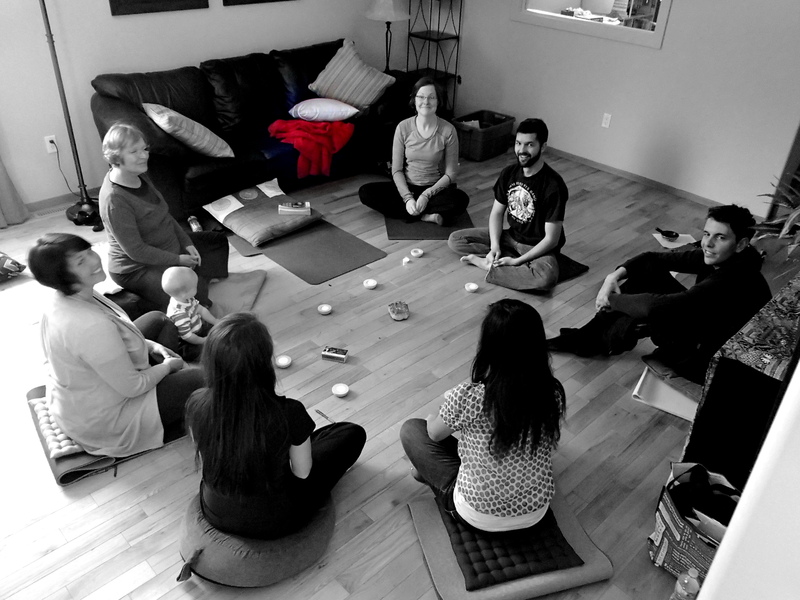 Community Meditators: Anna and Jordan’s community meditation group located in Calgary, AB. Spilling the Beans cookbook: Most of the delicious meals came from here. This entry was posted in September and tagged Community Meditators, meditation, mindfulness. Bookmark the permalink.